For such a long-time Apple believer and Mac/iPhone customer, the idea of turning my back on Steve Jobs and crew, stopping my app store and media buying preferences almost entirely and choosing a divergent path is not one taken lightly. In the two months following Google I/O, I've talked about my looking at Android and how I think the mobile operating system is a real challenger to the iPhone's place on the pedestal in the world of smartphones, but I didn't make a lot of noise about my taking the final step and switching to Android. It turns out that on the very day the iPhone 4 hit Apple Stores and AT&T Stores around the country, I was trading mine in and converting the family (including my wife) to Google's OS. Given many of the comments I have seen around the Web comparing the two platforms, I thought I would explain my choice - especially as news articles are hitting seemingly every day that back up my hypotheses. For me, more than the over-used phrase of "open", the promise of true multitasking, and the platform's integration with Google Apps, was one word - "Choice". Choice of handsets. Choice of carriers. Choice of manufacturers. Second behind the word choice has to be "Momentum". I can see that Android has momentum in terms of improved quality, in terms of the number of devices sold and users, and yes, applications, which are growing in quantity, soon to be followed by quality. I really do believe that if Android does not already have a market share lead over Apple yet in this discussion, they soon will. It is inevitable. The growth in the number of handsets, carriers and users will drive more developers to the platform, and the holdouts who are not there will eventually make the move. And yes, third is "Cloud" - the idea that I don't need to be tied to my desktop computer to manage data on the phone, but instead, the phone is built to tap into data stored on the Web. Fourth is "Capability". The Android platform, as the Droid commercials offer, simply does more. The power of the mobile hotspot cannot be understated, and the iPhone is a zero there. Unfortunately, I am pretty sure I hadn't previously made that decision process clear. Most, thanks to my derogatory comments against AT&T (rightly deserved, I may add), thought I switched from my AT&T-fed iPhone to my Sprint contract on the HTC EVO and new HTC Hero because of the many frequent issues with the carrier. This is not true. Yes, AT&T has been dramatically underdelivering in terms of quality and functionality, but this did not drive me away from Apple as much as the lack of choice did. Not even the announcement of an imminent offering of a Verizon iPhone could have kept me on Apple. I have been publicly and openly thinking about moving off iPhone for more than six months. At the time of the December post, none of us knew what the iPhone 4 would look like. We didn't know if Apple would open up to new carriers. We didn't know what the Nexus One would offer. We didn't know about the HTC EVO or the HTC Hero or the HTC Aria or the Droid Incredible. But the writing was on the wall that change was afoot, and we would have to be in wait and see mode. I waited, and what I saw told me that the speed at which Android has improved and the speed at which new models are developed and released is far outpacing Apple. In my personal experience of using the HTC EVO after receiving a free unit from Google I/O, the gaps in the platform were very few, and were more than outweighed by the device's capabilities. I kept running into ways to use my EVO where my previous generation iPhone could not keep up, and even my handling of the new iPhone 4 was not enough to make me feel I had chosen wrong. This isn't to say that it's impossible the iPhone 4 is the best mobile phone in the world. Maybe it is. Apple's sense of design and integration is impeccable. They do fantastic work and I do not think they have an equal in hardware. I would never say the HTC EVO is a better hardware device than the iPhone 4, so that discussion is moot. But it is a fantastically capable, flexible device, and I had the choice - yes that word again - to get my wife a different model with a different physical appearance and a different set of capabilities, in the Hero. With Apple, my choice (if you can call it that) is to buy this year's model or last year's model, and black versus white (assuming white ever ships). I also will never tell you that Android is perfect - in software or in hardware. I have seen bugs on the EVO that have impacted button sensitivity, which at times are baffling and directly impact my ability to use the device for minutes at a time. There are background app crashes, and yes, you do have to be smart about how you use apps to avoid draining the battery faster than would be optimal. But I don't feel that any of these bugs are permanent, nor are they reason to switch back and call it a public loss. It's certainly not as if I have been blind to iPhones traded in or sent back to the Genius Bar on the other side of the aisle. In my view, I feel that Android is today equally capable to Apple in almost all ways, is more capable in several ways, and is less capable or polished in others. When I first discussed my thoughts on Android, I made comments saying that if I were a software developer looking to deploy a mobile app, I would look to code for Android first and iPhone and iPad second, to gain highly visible mindshare in a fast growing marketplace. In a piece in the San Jose Mercury News last week, that theory was validated by developers who said the once small pond was turning into an ocean. The article said "early bets on Android and Google are paying off." On Thursday, news from ComScore said Android gained market share while Apple, BlackBerry and pretty much everybody else lost share. On Saturday, Barron's also reported on the growth, saying Android "could eat Apple's lunch." This momentum is real on the market share side, no doubt driven by a swath of partners pushing Android-capable devices, while Apple, a personal favorite mind you, is practically going it alone. Earlier on Saturday, news broke that HTC was not going to "jump into the tablet market" any time soon, as the company looked for a compelling form factor and use case. We've seen how Apple launched the iPad and has done tremendously well by it, but the great thing about the Android ecosystem is that HTC's saying no is not a deathknell for the platform or its customers (including me). If HTC won't make it, then somebody else will. 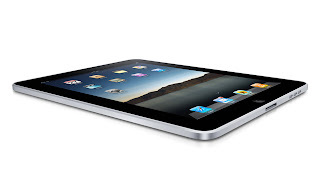 As we saw with the iPad, rumors of tablets stirred for years until Apple finally launched one. That's what can happen when only one manufacturer has access to a system. Seeing HTC is not doing a tablet now caused me to shrug, not to writhe in pain. But if they had an exclusive agreement with Google, that would be another story altogether. The momentum is clear and the option of multiple choices is clear. If I like Android and hate my new carrier, Sprint, I can switch to Verizon and get the Incredible. If I have an aneurysm and love AT&T, I can get the Aria. If I want a small screen, I can do that. If I want a physical keyboard, I can find a device that does that. But for iPhone, I simply would have to take whatever Apple offers and believe that their choices are right for me. I've chosen Apple many times and will again in the future, but I don't think I should buy into a system that restricts my choices when another one is out there that enables my choices. I switched to Android because I am extending my move away from the desktop and more to the cloud. iTunes does not deserve to be the core of my device any more, as it is simply a utility to rent films and get new apps for the iPad. I do believe the Web to be my future hub, and Google is preparing for that world, while Apple is not. Their devices do great work to get to the Web easily, but once there, I have almost always been pointed to other providers, so now, with Android, for the most part, I can just go to the source. A bet on iPhone 4 today may be a vote for the best phone of today. But a bet on Android is a bet on the future. I am betting on an ecosystem and an application environment that encourages best of breed developers to move their product to a growing population of smartphones, and I expect to reap the benefits. I have the utmost respect for Steve Jobs, Apple and all the work Cupertino has done to make my family's lives better, but I think the baton has been passed. I won't be hanging around hoping they will get reinvigorated, to win on their own against a flotilla of partners on the opposing side. Our family is on the side that is going to win the next five years of mobile.